Modernized classic. This year, with the ThinkPad T440s models, Lenovo takes on the legacy of the highly acclaimed T series and does not limit it to just updating the components. It is to be the ultimate in performance and to bring a range of practical updates. We have tested whether this is really the case. Make no mistake: The ThinkPad T440s offers the experience you expect from a Lenovo laptop. The typing and tracking experience on this ultrabook is bar none, and you'll have a hard time wearing the machine down with general business-oriented tasks. In that regard, this is a work horse that would serve you well. While I would love to recommend the T440s, it's difficult to do so at this configuration. If lasting power from a Windows business laptop is key for you, then lose the touchscreen at checkout. Otherwise, look elsewhere (like the paragraph above) for more focused machines. With the T440s, Lenovo has sent a clear message that this machine is about portability first, power second. Its low-voltage chipset, limited RAM expandability, and hyper-conservative thermal management (which provokes throttling under even moderate GPU load) precludes any possibility of the machine being leveraged for GPU-related work in any way. That’s not to take anything away from its speed; with high scores in PCMark 7 and subjectively snappy performance, the T440s is a winner in general usage. And the GPU-induced throttling is only a problem when GPU load is underfoot—meaning you can fully tax the ULV CPU to full Turbo Boost frequencies without any performance sacrifice. But for those hoping for a Haswell-powered refresh of the thin-and-light, full voltage, sub-four-pound powerhouses that were the T430s and the X230, the T440s’ philosophical shift surely comes as a bit of a disappointment. It can be hard to get juiced up over a business-ish ThinkPad that looks an awful lot like ThinkPads of times past, but Lenovo did a good job of maintaining the series’ classic looks without bowing to them. The company completely redesigned the touchpad area, and it’s a much smoother-looking and cleaner user experience. Thanks to its lightweight and durable design, world-class keyboard, responsive touch pad, crisp full HD touch screen, and solid Core i5 performance—not to mention its impressive battery life—the Lenovo ThinkPad T440s is one of the best business notebooks you can buy. Lenovo has been making business laptops for several years, but in the world of PC manufacturers, the only way to stay relevant is to stay current, and Lenovo does this with the Lenovo Thinkpad T440s. The Lenovo ThinkPad T440s is a very well-made business ultrabook, but even great battery life, decent performance, and a few unique features aren't enough to make it stand out above the rest. The Lenovo ThinkPad T440s offers solid performance and a design that will look good in the board room while still surviving the occasional cross-country business trip. While the performance is a bit average, it's a testament to the progress made in the Ultrabook category that such impressive performance has become standard. And though the battery life (with the standard battery) is on on par with the competition, the addition of an extended life battery and the hot-swap capability definitely adds an element of flexibility not offered by other systems. It's not quite enough to dislodge the Dell Latitude 6430u as our business ultrabook Editors' Choice. The ThinkPad T440s might disappoint you if you're in the market for a very thin, sleek ultrabook, as this model is neither of those things. It is a black-colored, no-nonsense ultrabook with a bit of heft behind it and the durability necessary to handle some pretty rigorous usage. The notebook doesn't stand out too much among other comparable Lenovo laptops, such as the aforementioned X240, but it does stand out among nearly all laptops in terms of battery life. 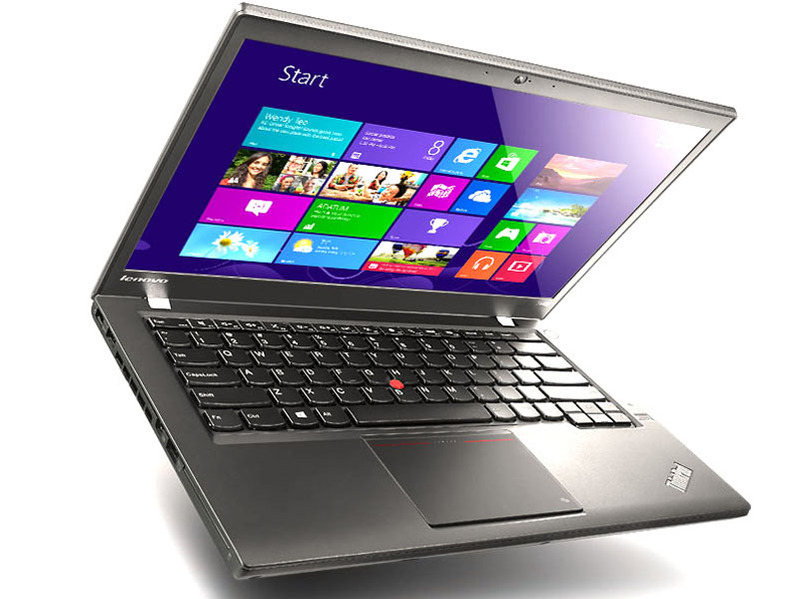 The Lenovo ThinkPad T440s propels the popular enterprise line in the right direction. The transition to Intel's fourth-generation CPUs along with the interchangeable batteries offer outstanding battery life, while the boost in specs provide even better performance. The IPS touch-screen is the biggest improvement offering a level of clarity and contrast that was missing from the T series. While all of these changes are great, it does make the affordable Lenovo T series, not that affordable. At $1,750 the notebook certainly isn't cheap. As a personal device, users may want to consider slimmer sleeker options like the Samsung Series 9 Plus or the Acer Asprie S7. However, as an enterprise device, the Lenovo ThinkPad T440s is tough to beat. There’s no doubt that the T440s represents a new direction for the ThinkPad line, but whether it’s a better direction is harder to say. In some areas, such as size, weight and display quality, this new ThinkPad is clearly superior to its older siblings. Other aspects, such as the touchpad and material quality, are a step back. A great keyboard, strong physical design, plenty of useful connectivity, and a hot-swappable battery, all make the ThinkPad T440s a top contender as far as business laptops are concerned. We think it's a wonderful overall notebook except for some touchpad issues that we experienced. If you're considering it, we recommend getting the version with the Full HD, IPS screen. The ThinkPad T440s is a worthy successor to the ThinkPad T431s. With the performance and power efficiency of Intel's fourth-generation Core series, long battery life, an industry-leading keyboard and an optional full HD touch screen, the ThinkPad T440s is the new business laptop to beat. Positive: Carbon fiber and magnesium alloy case; user-friendly input devices; good connectivity; high-quality display; good autonomy; fingerprint sensor. Positive: IPS panel and Full HD display; very durable keyboard and excellent performance. Negative: Soldered memory; price. Positive: Long battery life; none- glossy full HD IPS display; light. Negative: No optical drive; trackpoint; no built-in WiMAX. Positive: FullHD matte IPS display; external battery; good emission. Negative: No WWAN card & built-in WiMAX.